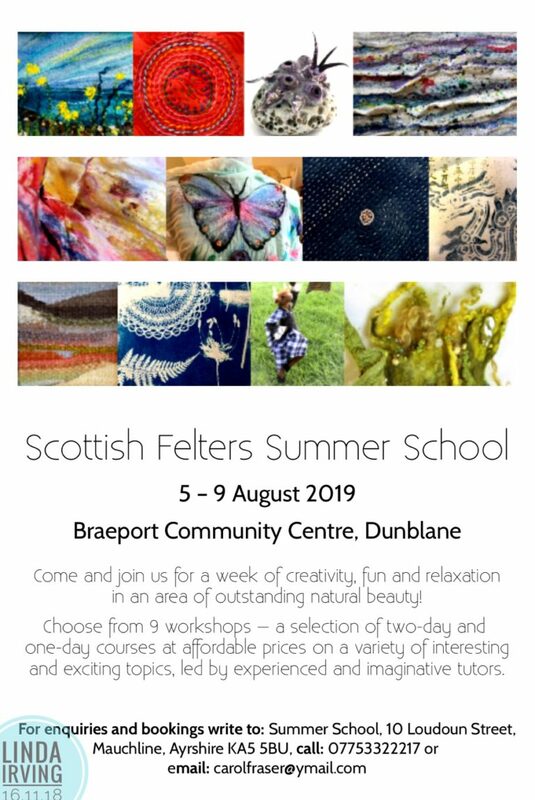 I am very excited and honoured to be invited to teach at the Scottish Felters Summer School next year! This is a week long festival of creative workshops led by tutors from as far as America! I will be teaching a day workshop, similar to the photo here of a recent seascape workshop in my studio. 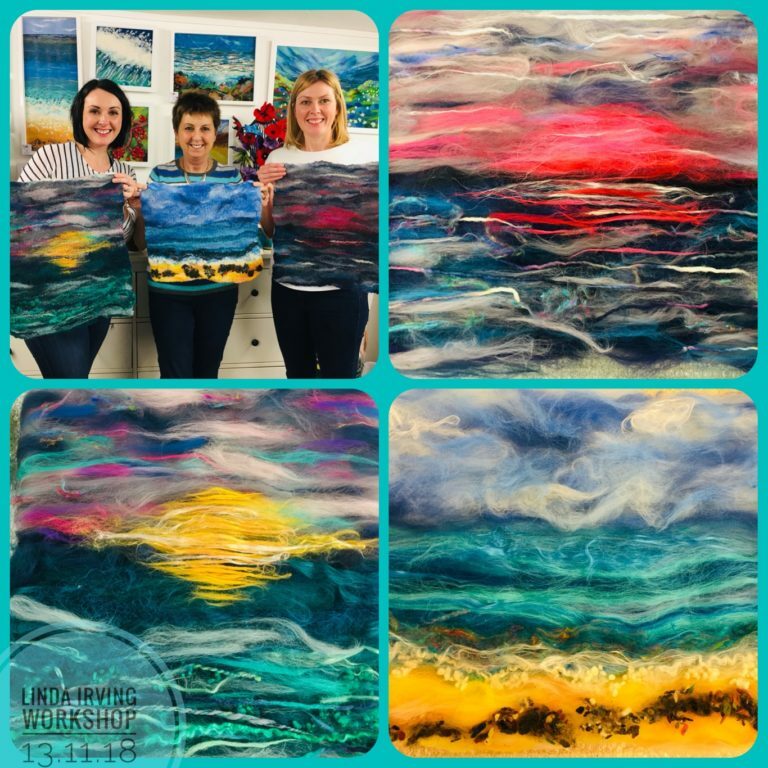 You will not need to have felted before as I will guide you through the process step by step; as these ladies can demonstrate, first time felters can do amazing and wonderful things with fibre! Please see the poster for full booking details directly with the organisers.